You are going to Watch Naruto Shippuden Episode 211 English dubbed online free episodes with HQ / high quality. Stream Anime Naruto Shippuden Episode 211 Online English dub Danzo Shimura. Sasuke gains the upper hand over Danzo, having tricked him into using up Izanagi. 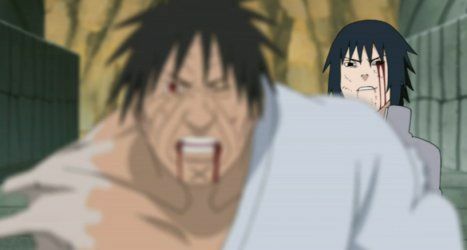 Danzo takes Karin hostage but Sasuke shoots his Chidori blade through them both, fatally wounding Danzo in the process. Danzo tries to retreat but Madara blocks him. Desperately, Danzo activates his fail-safe technique, intending to seal Sasuke and Madara away into his corpse. As he dies, Danzo recalls trying to catch up to Hiruzen, but never being able to, dying without attaining his dream of becoming Hokage just like he did.